If you are a web designer or work with big data, you know how difficult it can be to handle XML files. Fortunately, there are many XML tools out there that will convert your XML files to PDF. The tools reviewed here can convert your XML files neatly and efficiently and some include conversion to additional formats, such as JSON, or encryption options. CoolUtils Total XML Converter (https://www.coolutils.com/TotalXMLConverter) converts XML documents to PDF, CSV, JSON, and XSLT style sheets. Total XML Converter allows you to select one or multiple files for conversion. If you have a folder structure, Total XML Converter allows you to keep your structure while converting the XML to PDF. You can create a header and footer for your converted file and include an image. Total XML Converter also allows you to protect your converted file with a username and password. Total XML Converter is the only XML to PDF converter that includes command line support. 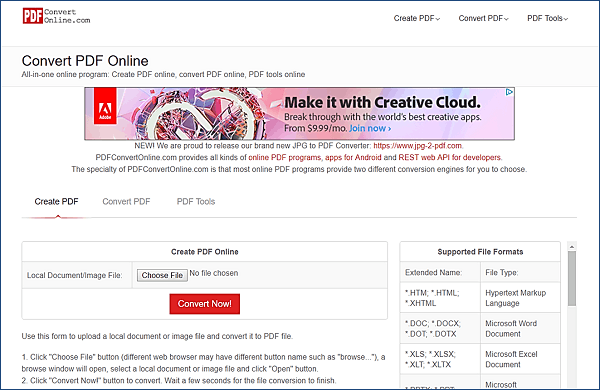 Convert PDF Online (https://www.pdfconvertonline.com/) is a web-only free tool that converts several file types, including XML to PDF. This is a good solution as an XML file converter to PDF, but it’s slim on options. You select an XML file on your computer and click the Convert Now! button. The site then kicks out a file for you to open and/or download. If you just want to convert an XML to PDF, this is a simple solution, but there is no customizing of your output or adding a password or other encryption. This is a free online program. NovaPDF (https://www.novapdf.com/) converts XML files in Notepad, Word, and Visual Studio to PDF files. 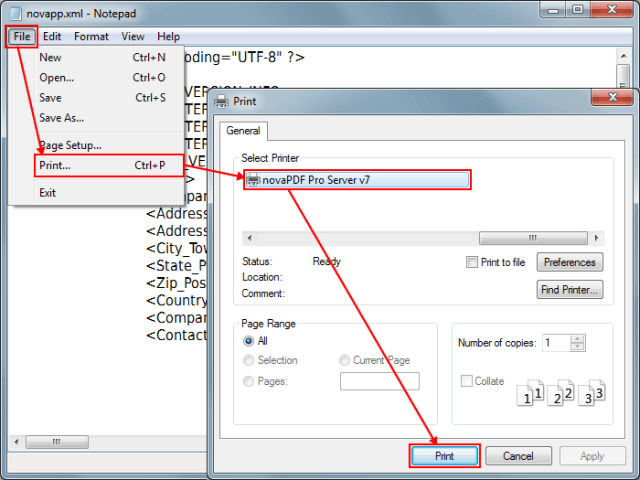 NovaPDF Lite uses the PDF printer driver in Windows to convert XML files to PDF (you can also do this by simply installing the free Adobe PDF reader). NovaPDF Standard and PRO versions have additional features such as bulk conversion, PDF signatures, encryption and password protection. NovaPDF Standard version allows you to convert and merge multiple documents into one. NovaPDF is limited to converting to PDF files, unlike some of the other XML to PDF converters. Features: Available in Lite, Standard and Pro versions, allows for encryption and password protection, allows you to convert and merge multiple documents. iSkysoft PDF Editor 6 Professional (https://pdf.iskysoft.com/create-pdf/convert-xml-to-pdf.html) is a PDF editor that also converts XML to PDF. This program allows you to edit PDF images, text, watermarks, and bookmarks. You can convert XML files to PDF and edit the final result. PDF Editor basically opens your XML file and you can ‘Save As’ a PDF file. 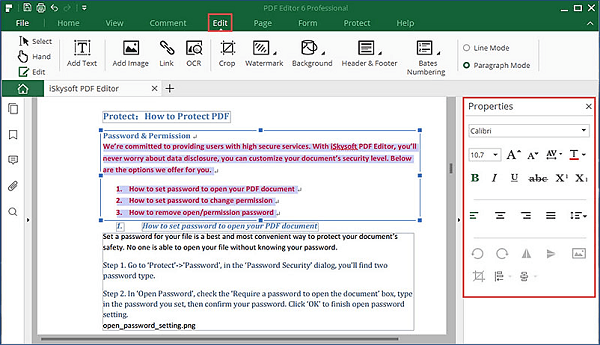 PDF Editor 6 also can encrypt your data as well as allow you to protect your file with passwords. You can also convert scanned PDF documents and make them editable. This program mostly focuses on converting PDF to other file types but is capable of converting XML to PDF. However, this isn’t a specialty and this type of conversion can be limited because you are saving the file as a PDF instead of converting it. Features: Edit PDF files, data encryption, password protection for the final document, converts PDF to other file types as well.